What girl does not want to be pampered? Not me, for sure! 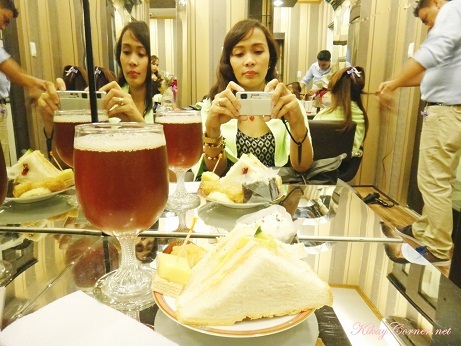 I had my lovely share of pampering some two weeks back when I got invited to check out Louis Phillip Kee’s newest Salon. It was timely since I have been putting off, for months now for my locks to get some serious treatment. Blame it on the couple of perming treatments I had it go through last year. I thought since my hair is naturally wavy, I can get away with permed hair, perceiving it to lean towards the “wash and wear” type. No need to worry over wavy roots peeking. Yes, that has a lot to do with my tendency to be lazy to style. 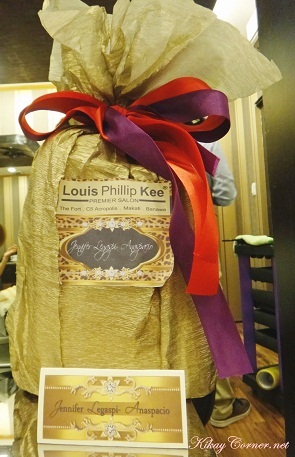 Louis Phillip Kee Premier Salon is love! I have heard a lot about Louis from my dear friend, Frances of TopazHorizon.com from years ago, I remember thinking of scheduling a visit then. That never came to fruition since I live so many kilometers away. This premier salon is good news for me since it’s only around 10 minutes drive from where I live. Sweet! Although I had to park at the nearby Tile center, since the salon’s parking area was full packed on that day. It is right smack Shopwise Libis, which can be very convenient too. Louis Phillip Kee Premier Salon has private rooms to boot, which can transform into a sparty of sorts for girl dates, for bridal shower showers even. Each private room has a flat screen TV for watching movies. They offer special group rates at no added charges. Now that’s a treat! Now back to my hair treatment. 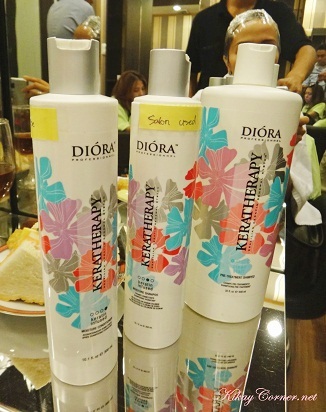 My first experience with Keratin Treatment in 2011, while I loved the after effect, I did wish the shampoo and conditioner routine that came with it, were more olfactory-friendly. The Coppola shampoo and conditioner tandem had this very strong fume. I later found out that it has high percentage of formalin. Yikes! I was delighted that Louis Phillip Kee salons use this Diora brand, which (I believe anyone can forgive me for) I had to smell before the treatment was done. It had this lovely scent, no trace of that Coppola formalin smell.